We can offer different capacities of oil pressing plant. 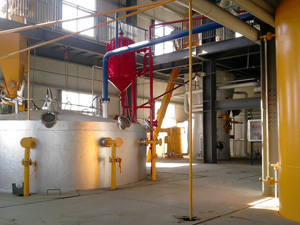 Our small oil pressing plant is one of the most popular small oil production plants. Our small oil pressing line can press a number of oil seeds, such as peanut, rice bran, sunflower seeds, soybean seeds, cotton seeds, peanut kernels, rapeseeds, corn germ, palm kernel, sesame, etc. 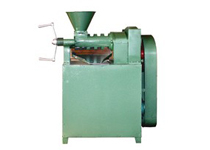 The small oil pressing plant is much easier operating, installing and commissioning. The small oil pressing line only need small investment, fewer land space, but with the complete function of the production. The small oil pressing plant need fewer labor than the single machines, with our considerable design, it only needs 2~3 persons to running the whole line, the semi- continuous also can avoid the unstable material feeding caused by manual. The lower invest but with higher output, under the higher labor cost situation, the semi-continuous make the worker safety more under the higher temperature working situation. If you are interested in our small oil pressing plant or any oil press machine, please don’t hesitate to contact us in the following form, we are always at your service! Note: We receive enquiries in English, Español (Spanish), Русский язык (Russian), Français (French) and العربية (Arabic). Our professional team will reply to you within one business day. 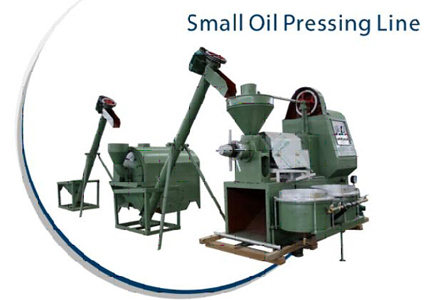 Please feel free to contact usto get more info about our small oil pressing line!